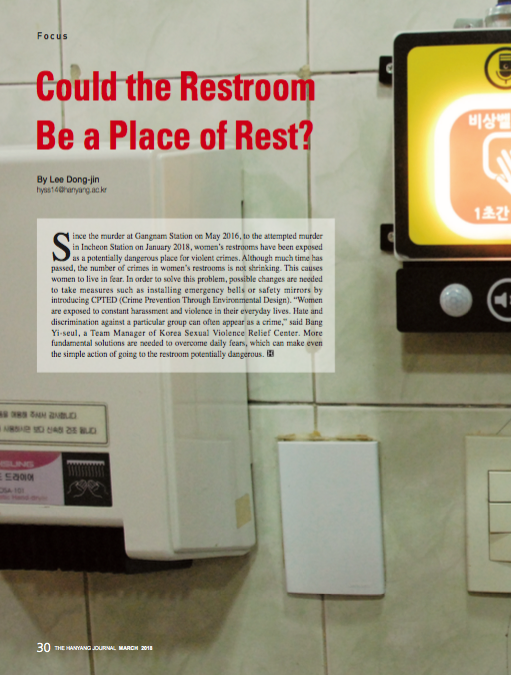 Could the Restroom Be a Place of Rest? 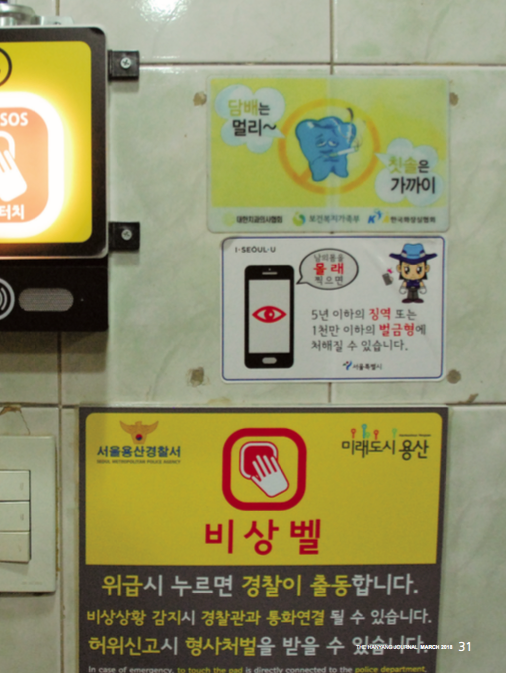 Since the murder at Gangnam Station on May 2016, to the attempted murder in Incheon Station on January 2018, women’s restrooms have been exposed as a potentially dangerous place for violent crimes. Although much time has passed, the number of crimes in women’s restrooms is not shrinking. This causes women to live in fear. In order to solve this problem, possible changes are needed to take measures such as installing emergency bells or safety mirrors by introducing CPTED (Crime Prevention Through Environmental Design). “Women are exposed to constant harassment and violence in their everyday lives. Hate and discrimination against a particular group can often appear as a crime,” said Bang Yi-seul, a Team Manager of Korea Sexual Violence Relief Center. More fundamental solutions are needed to overcome daily fears, which can make even the simple action of going to the restroom potentially dangerous.